Cleasby Kettle Skimmer is made from sturdy metal tubing and has an expanded metal screen. Made for cleaning asphalt and tar kettle. Price/Each. RING MOP HEAD, ALL-STEEL WITH SPRING TYPE ADJUSTABLE COMPRESSION. LUCO # 59400 spring type compression head is easily adjustable with thumb screw. Use with 5901859026 handles. Price/Head. 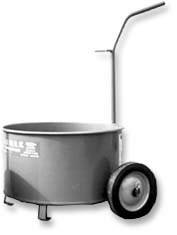 Roofmaster 20 Gallon Mopmaster, Hot Asphlat Mop Cart, steel rims, ball-bearings and rubber tires. Price/Each. Roofmaster 30 Gal. 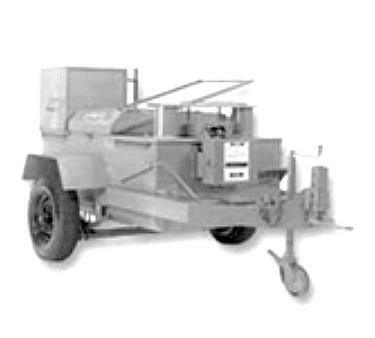 Floodmaster™ Bim Hot Mop Cart. Price/Each. Roofmaster INSULATED Multi-Master Mopper (No Flat Lite). Price/Each.